Here are a few fun things that we did right before school started. 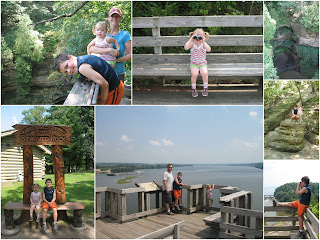 Starved rock is a state park that we heard about and thought we'd check out. The hiking trails got to be a little much for Olivia but she did great the first half of the day. The Warren dunes are always a fun place to visit. Our kids have enjoyed the times we've gone and this time was no different. 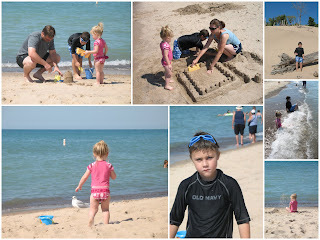 i LOVE the warren dunes! fun!!! I can't believe how big Olivia is! I hope you guys are doing well! I miss you guys! Olivia is so cute in the new posts. Ben liked the ponytail pictures at the beach. It doesn't seem like it has been that long since we've seen you guys, but looking at the kids pictures makes me realize that it has been awhile. I hope that all is well. It looks like you are still finding time to have fun, which is awesome. We definitely need to call soon.